Un par de fotos del 234/3 con el trabajo de aerógrafo hecho. 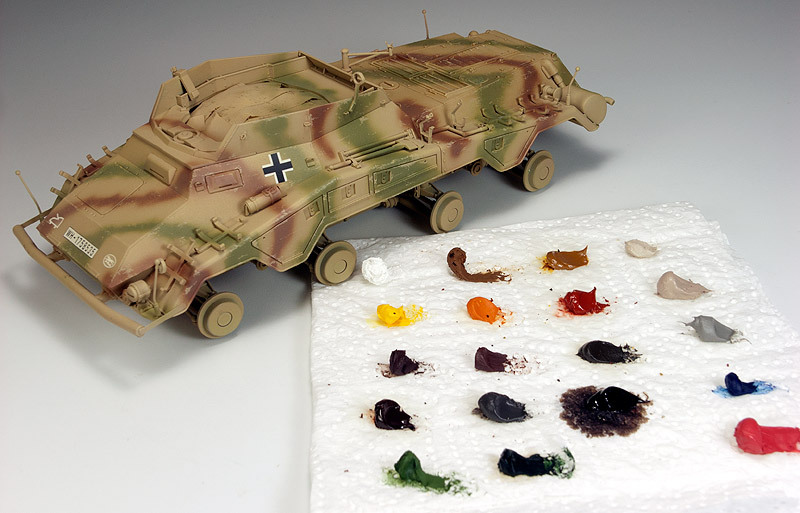 Camuflaje con acrílicos de Tamiya (mezclas), calcas y "desconchones" en los colores de camuflaje con el color base a pincel. Espero que con los tratamientos posteriores estos "desconchones" destaquen menos. 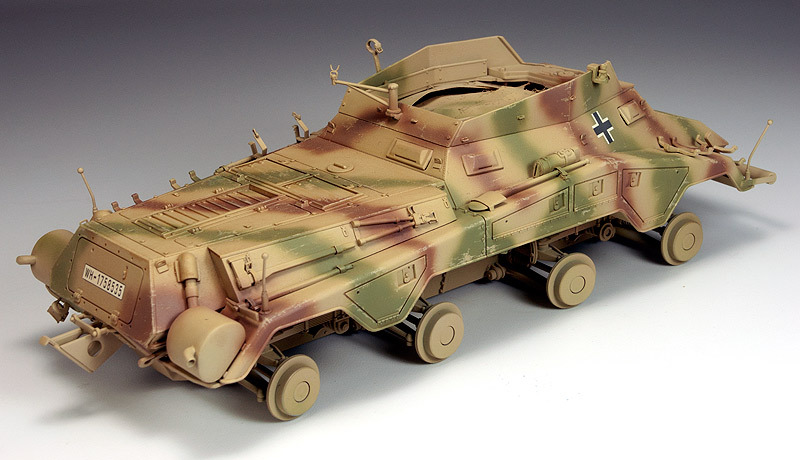 A couple of photos of the 234/3 wit the airbrush work done. 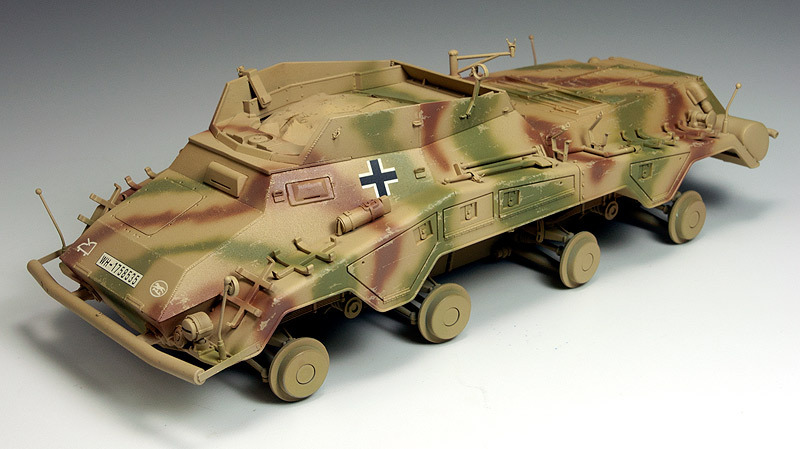 The base and camo was painted with Tamiya acrylics (mixtures), then decals and some "damage" done on the green and brown painted on the yellow base with a brush. I hope that the stark look of these will be faded down with the following treatments.